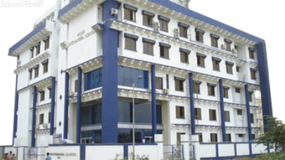 Find below the list of top schools in Nerul - Mumbai with phone number, address, 360° School tours, 2018-19 Admission forms & Fees, photos, facilities & more. 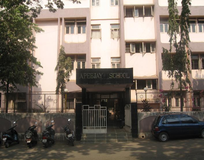 Apeejay School Nerul, Mumbai is one of a number of private schools run K-12 by Apeejay Education Society. 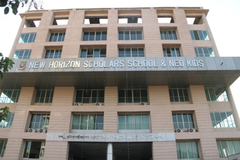 The School is affiliated to the Central Board of Secondary Education (CBSE), New Delhi and is a member of the National Progressive Schools Conference (NPSC). 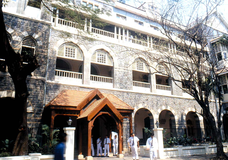 The school was started in the year 1987, when Mumbai was still under development. 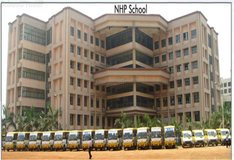 Initially the school offered classes in Nursery, Kindergarten and classes up to IV std. More classes were added in subsequent years. Mahatma Gandhi Mission? Primary & Secondary School founded on December 20, 1988 is governed by Mahatma Gandhi Mission? Charitable Trust, established in 1982 and registered under the Bombay Public Trust Act 1950 & Societies Registration Act 1860.\nIn Continuation of its proud tradition of enriching the human resources needs of the country, the Mission was set up in 1988 with our institute. M.G.M.? 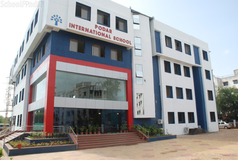 Primary & Secondary School, Nerul, Navi Mumbai.\nThe objective of the institute is to impart value based quality education by combining academics with exposure to day-to-day experience. With this view in mind, it provides state of the art infrastructure facilities and academic resources to its students.\nM. G. M. ? 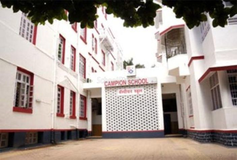 Primary & Secondary school is housed in a spacious & well planned building (4293.72 sq. m and adjacent a ground of 3600 sq. m) purchased from the CIDCO Ltd. having a built up area of about 3237.482 sq.m.\nThe academic performance of the student is assessed by conducting regular various activities, term examinations and oral group discussions from time to time. We impart education in the C.C.E. format of CBSE where different skills are assessed regularly. 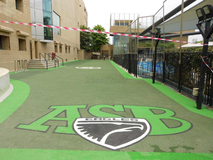 In addition to academic facilities, the school has the entire infrastructure as regard to extracurricular activities concerned. 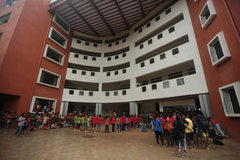 The children are exposed to various orientation courses as per their aptitude and they are encouraged to participate in such activities under the guidance of the expert teaching faculty.\nThe institute has been honored and graced by the visits of academicians, Philanthropists and people of National and International repute to witness the annual progress of the school. Choosing the right school for a child is a daunting task. Making the job easier for you is Sqoolz. In order for your child to get admission to the best schools in Nerul - Mumbai you need to study and analyze the list of top schools in Nerul - Mumbai. 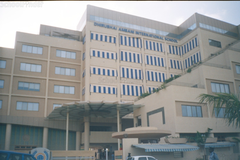 With our detailed list of schools in Nerul - Mumbai, you can get all the information you need.